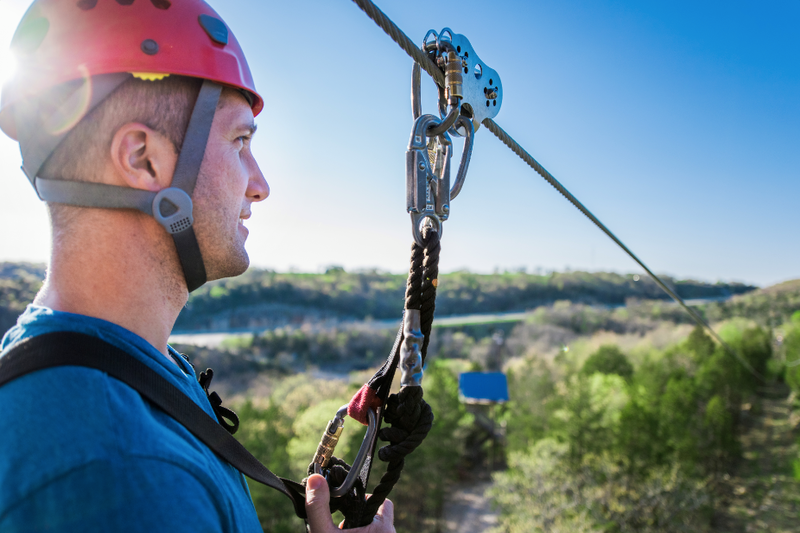 Experience one of the most popular and thrilling zipline adventures in the Ozarks as you soar above the treetops on an exciting ride that is fun for everyone! 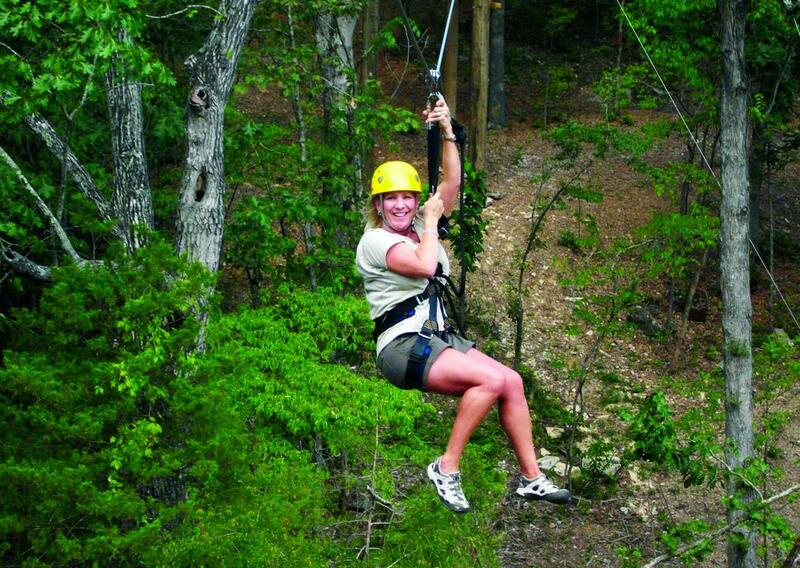 Zipline fun for all ages! 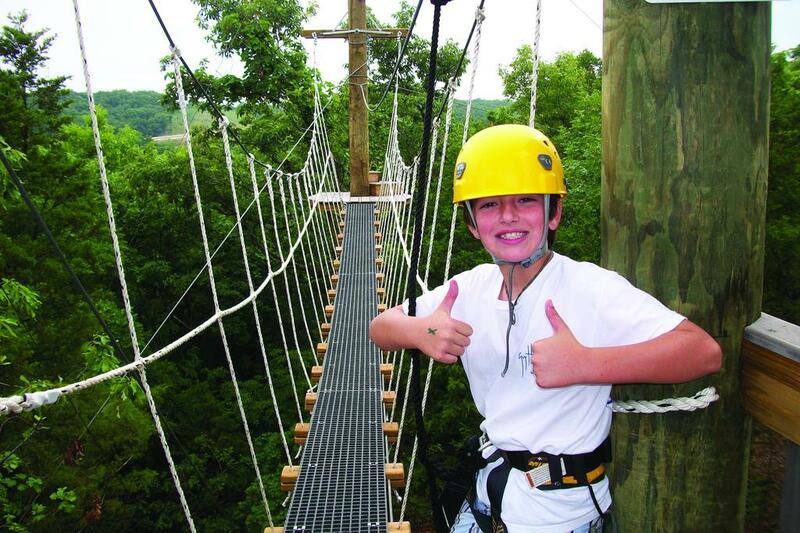 Suspension Bridges above the Ozark Forests! Hop in the ATV to your starting point! 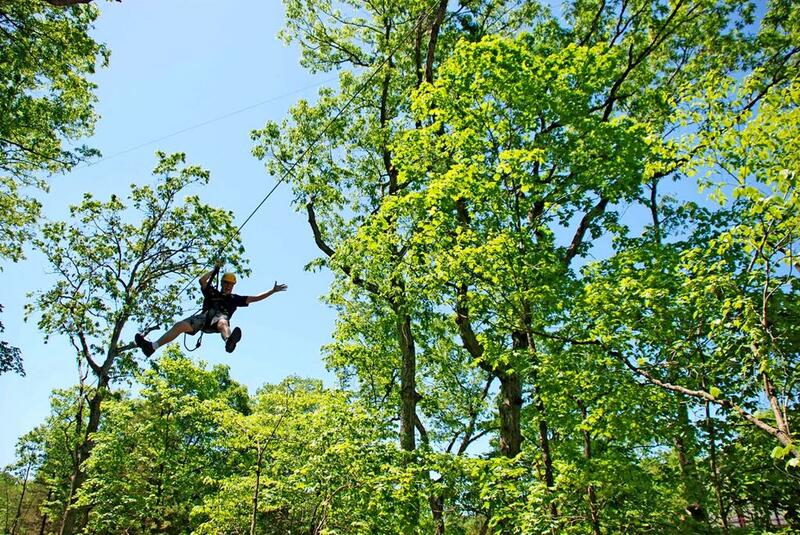 Zip & Soar through the treetops! An ATV Ride to Start! 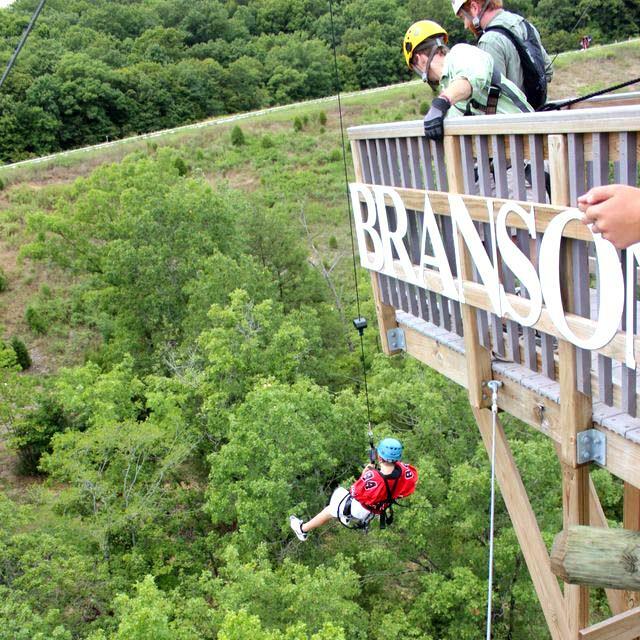 Booking tip: Branson Zipline at Wolfe Mountain is very popular, advance reservations are recommended! 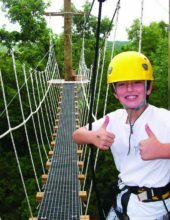 Includes: 1 ATV ride, 4 zip lines, and 7 sky bridges! 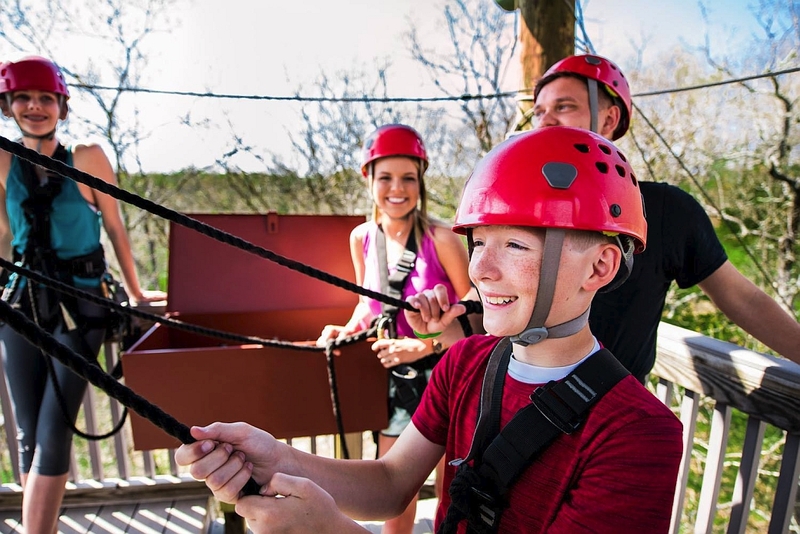 A very popular zipline tour, the Flying Prospector provides riders with an experience through the trees, across suspended bridges, and along the floor of the forest’s canopies for an adventure that all ages will love. 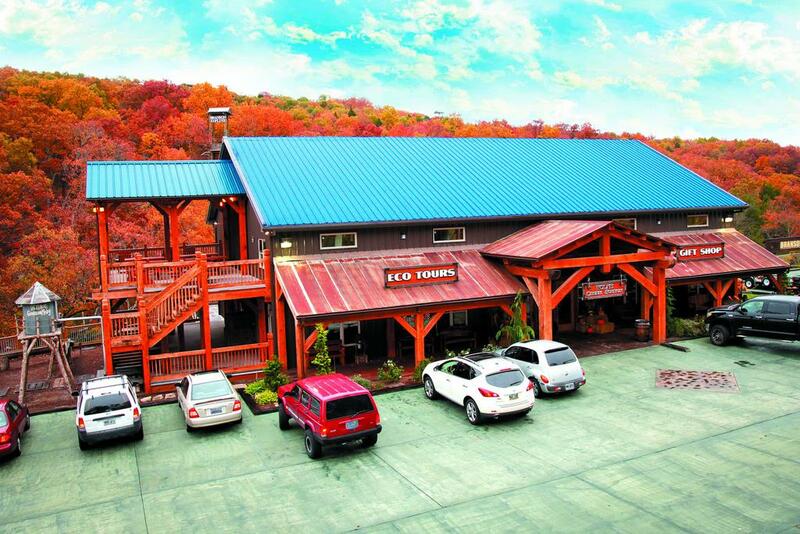 Includes: 1 ATV ride, 3 zip lines, 2 sky bridges, 40′ Dynamite Drop, +1 Hour Snow Tubing! 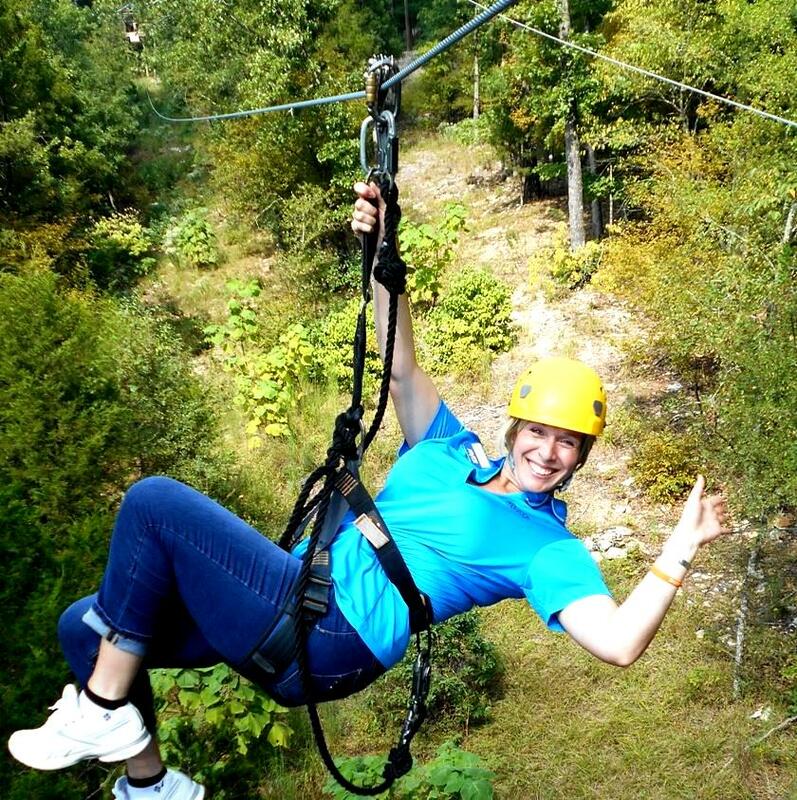 Experience ziplining and snow tubing in one incredible tour! 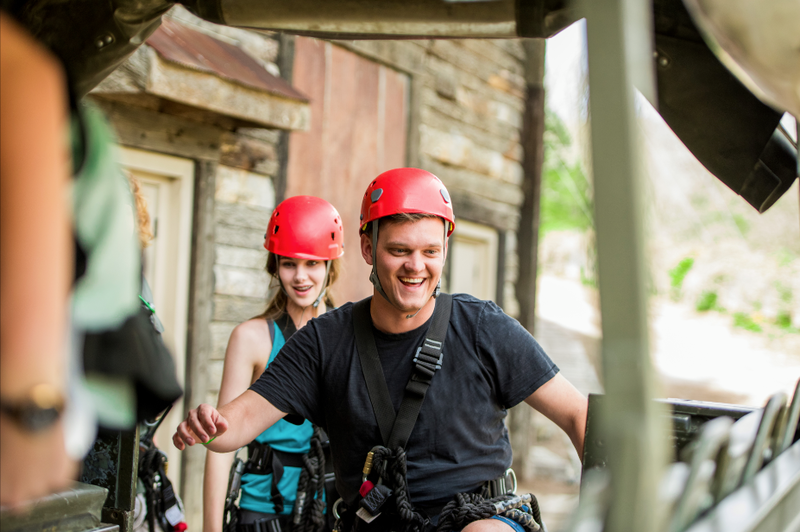 Includes: 1 ATV ride, 7 zip lines, 10 sky bridges, & 40′ Dynamite Drop freefall + Mid-ziplining snack! 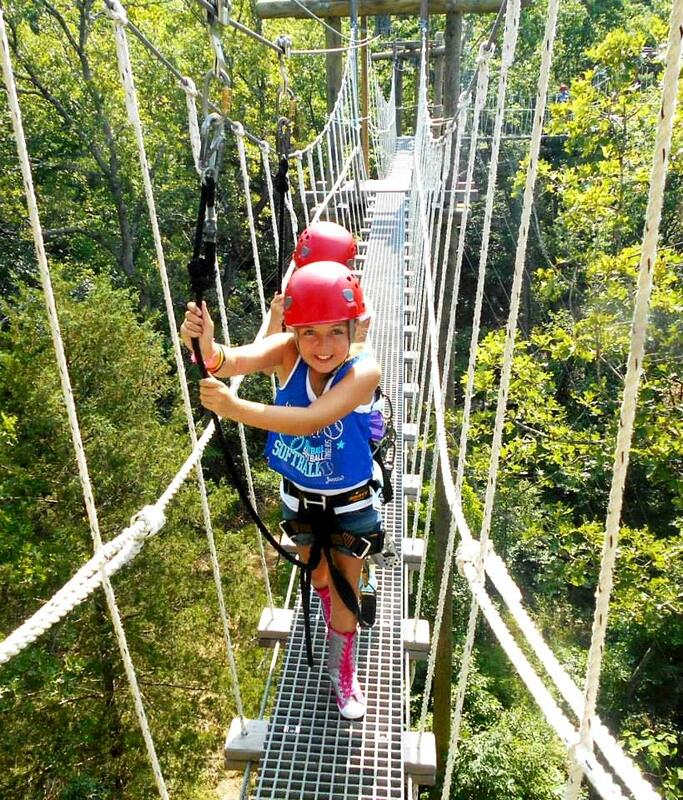 For those wanting a longer experience, the Ozarks Xplorer is the choice for you! 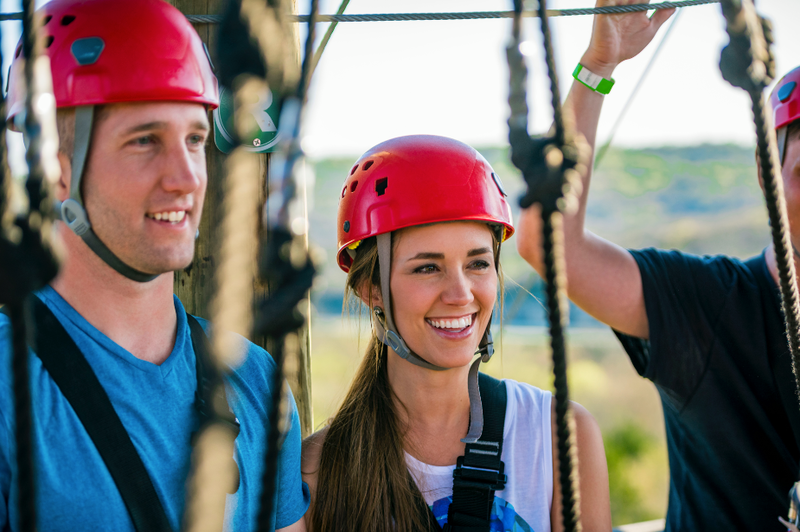 This extended tour gives you a chance to discover the natural beauty of the Ozarks and the excitement of ziplining, for an adventure that will provide guests with some of the most fun couple hours that you will have on your Branson visit! 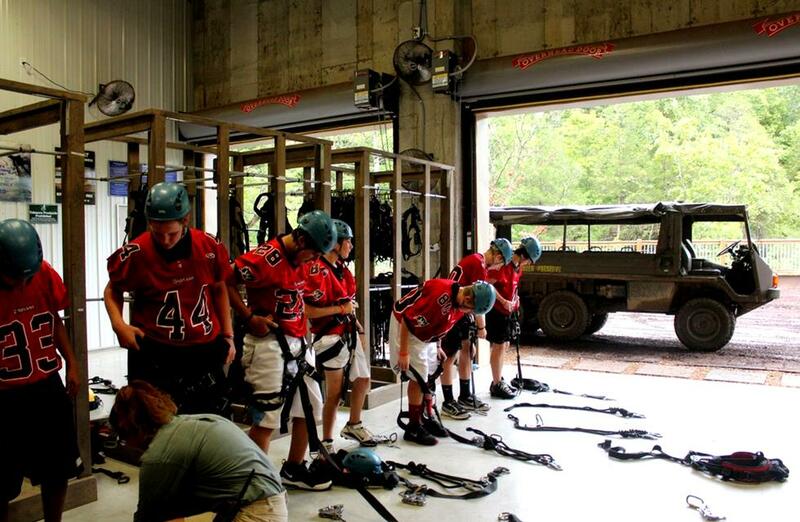 Includes:2 ATV rides, 8 zip lines, 10 sky bridges, & 1 100′ free fall, and 40′ Dynamite Drop! 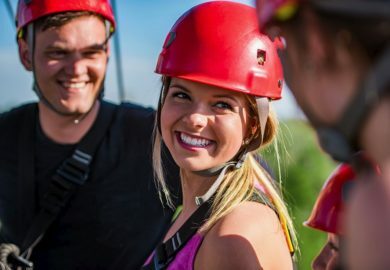 Combining the entire Ozarks Explorer Canopy Tour experience with the Blue Streak Fast Line, the Canopy Adventure Combo provides you with a half-day of outdoor fun at this beautiful nature preserve – allowing you to fully-immerse yourself in the beauty and adventure found in one of the country’s oldest mountain ranges. 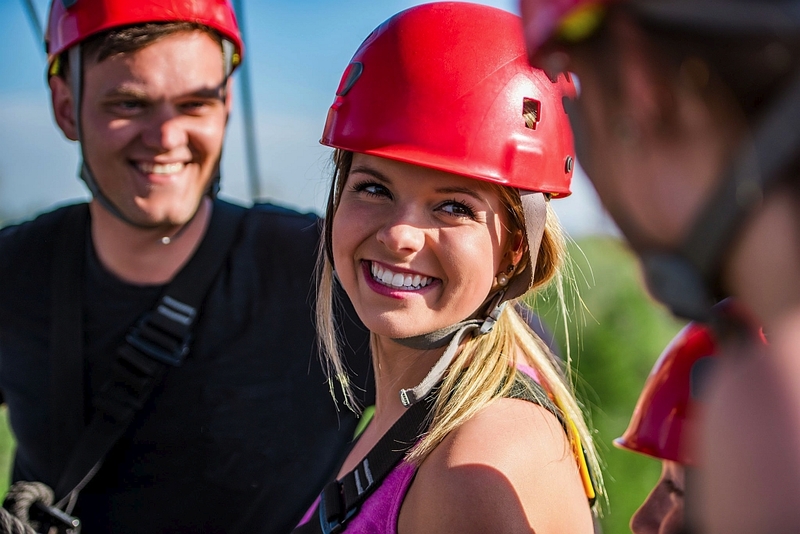 Includes: 1 ride along the longest zipline + 1 freefall from 100′ tower! 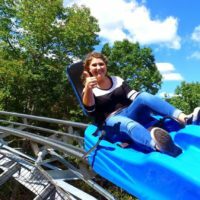 Those looking for a thrill (and who might be a little limited on time), then the Blue Streak Fast Line and Free Fall is the option for you! 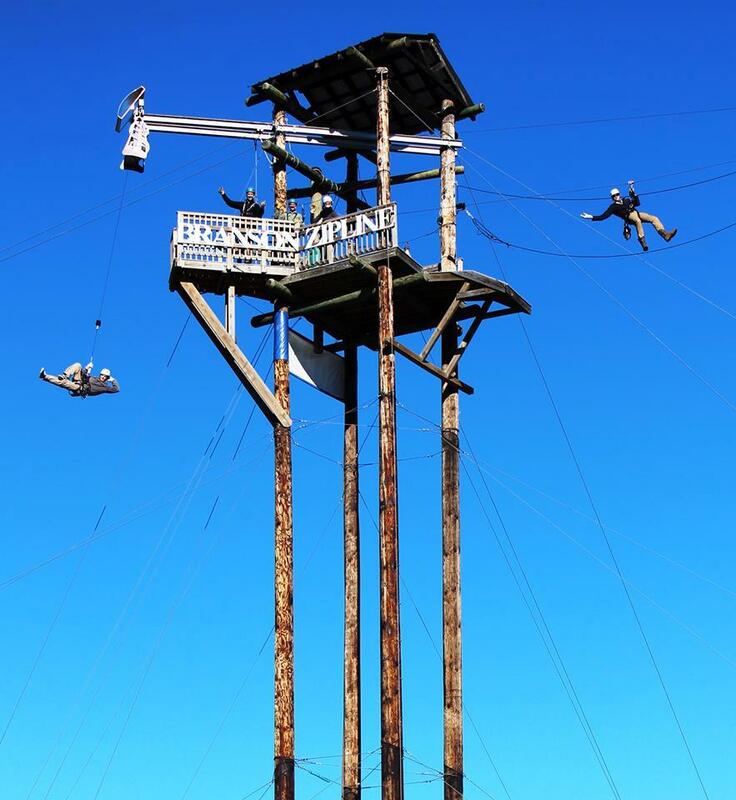 Beginning with a trek up a 25′ tower, you will shoot across one of the longest ziplines in the area (nearly a quarter-mile long) reaching up to 150′ above the ground before landing atop a 100′ tower. 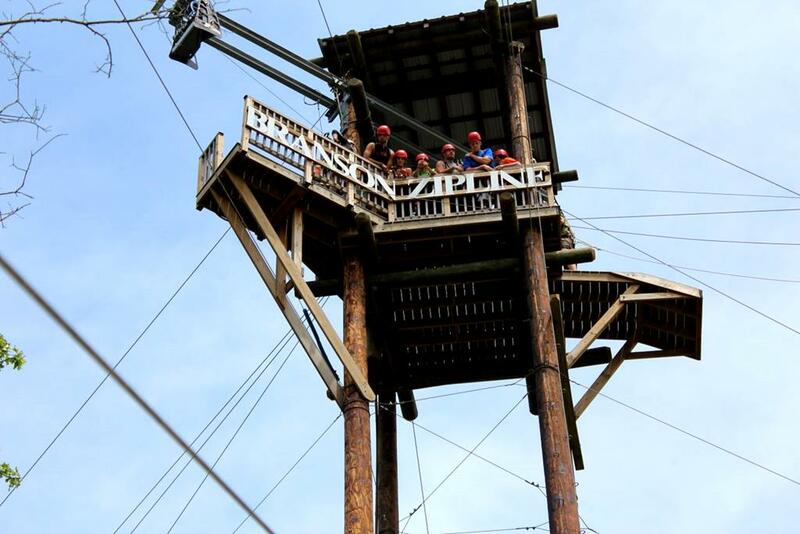 From the top of the tower, you will then be secured to a specially-designed machine that gives the feeling of actually free-falling before gently setting you on the ground below! 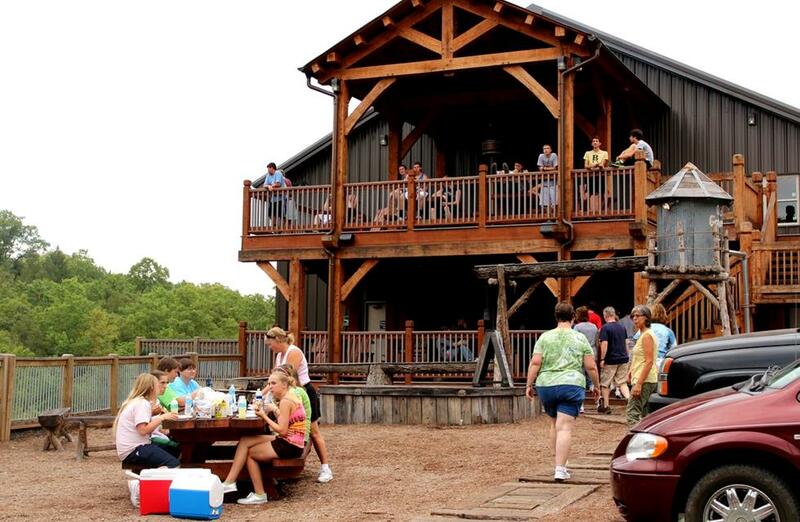 Includes: 1 ATV Ride, 1.5 mile hike, 1 break for refreshments! 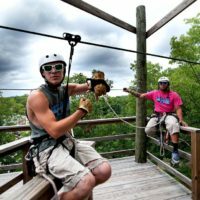 The perfect choice for those who want to partake in the activity, yet don’t want to go on the zipline. 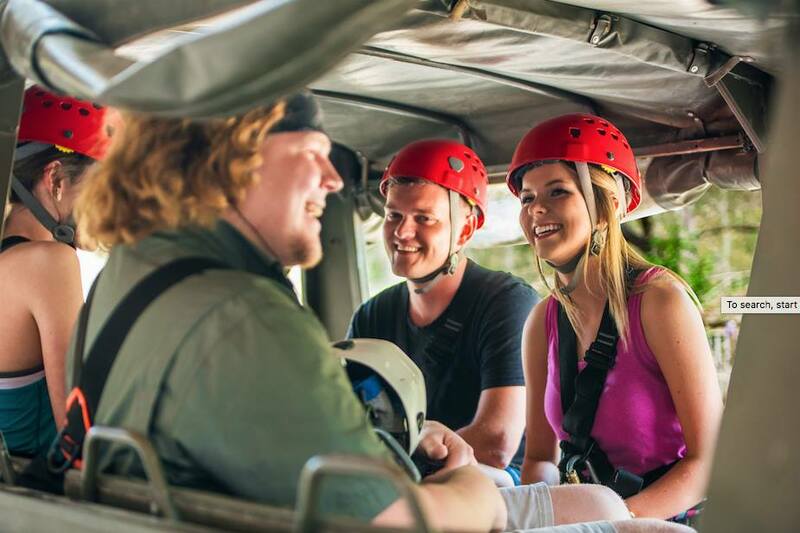 A guided tour walks you along the path with great views of your friends and family ziplining above you! 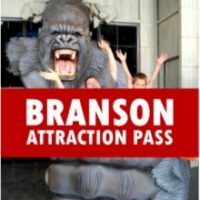 The area’s most popular zipline attraction, the Branson Zipline at Wolfe Mountain offer a one-of-a-kind experience for those who wish to experience a truly unique and adrenaline-pumping outdoor adventure! 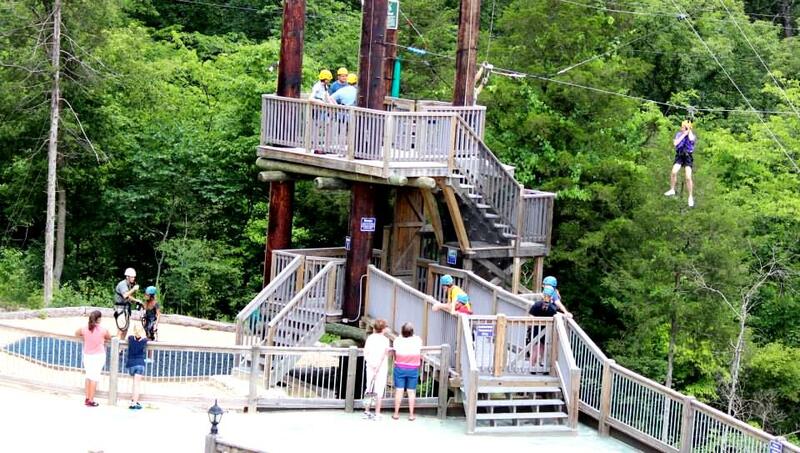 One of the World’s Most Thrilling Ziplines! 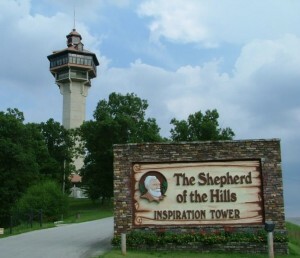 Set on the Wolfe Creek Preserve (which sits in the heart of the Ozark Mountains and forests), this is one of the most thrilling eco-adventures in the world! 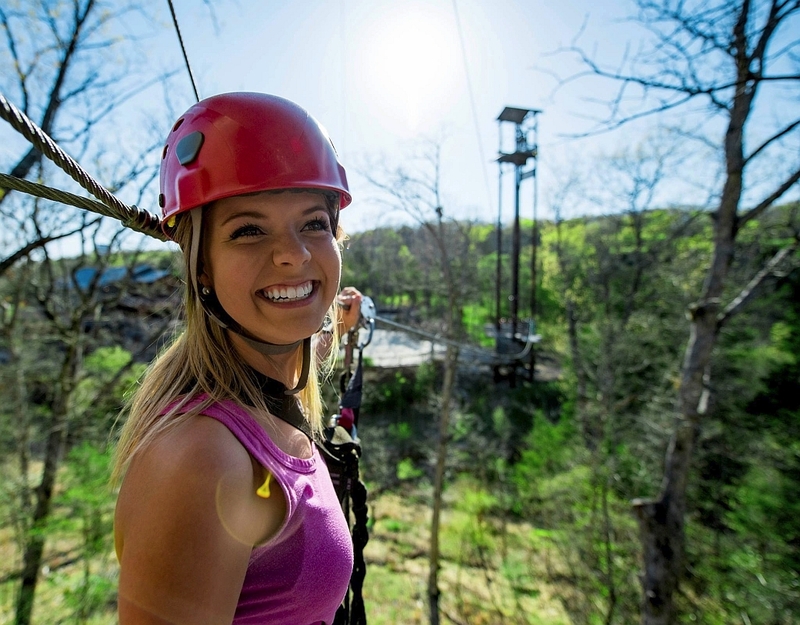 Zip from tree-to-tree and platform-to-platform as you make your way through the treetops on one of four different ziplining rides that include: the Flying Prospector Tours, the Ozarks Xplorer Canopy Tour, the Canopy Adventure Combo, or the heart-pounding Blue Streak Fast Line and Freefall Xpress! 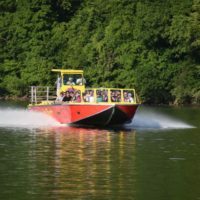 More than $4 million was invested to create one of the most amazing outdoor attractions in the country, which has been built to ensure that people of all ages can ride safely and comfortably. Every precaution has been taken to provide all who visit with the ultimate experience – while maintaining the safest rides possible. The professional, certified guides will lead guests through the trees and forests on one of the most beautiful and exciting adventures to be found anywhere. 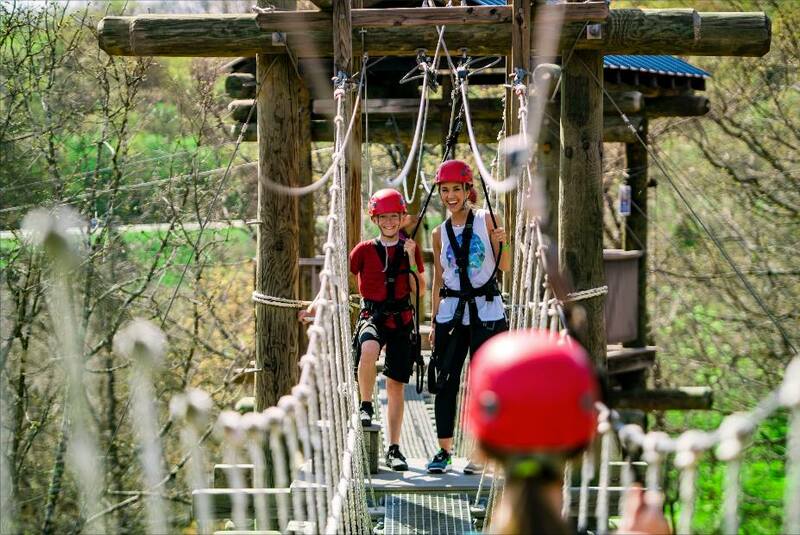 They will be on-hand as they take you step-by-step through each zipline, bridge, and platform – ensuring that everyone in your party enjoys their visit. 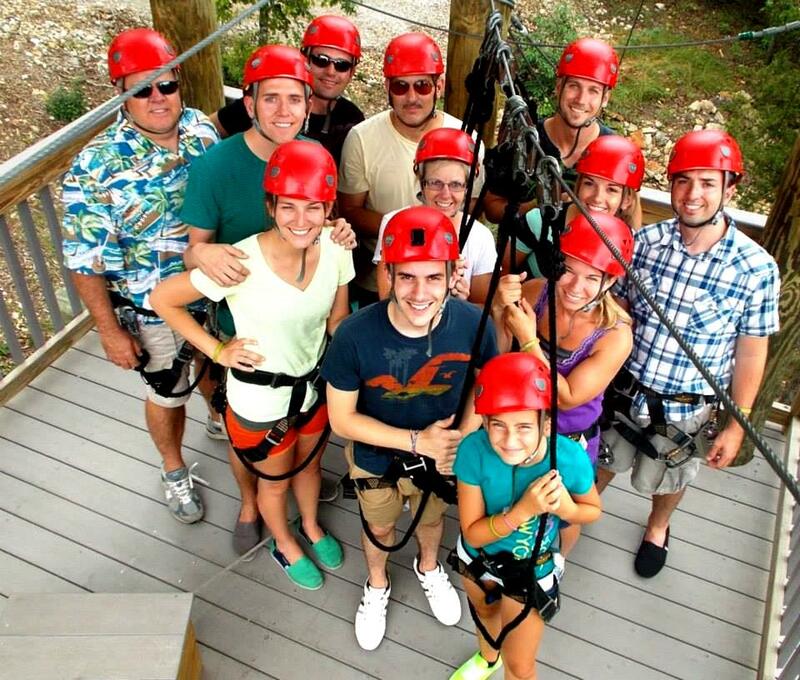 There’s a zipline and canopy adventure tour perfect for everyone and that will fit any budget! 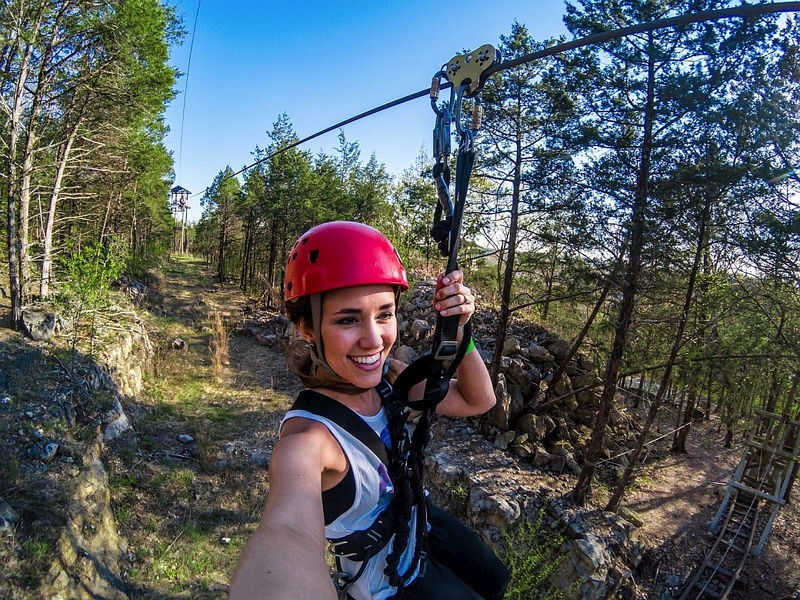 Choose from one of 5 unique ziplining options for an experience that you won’t ever forget! 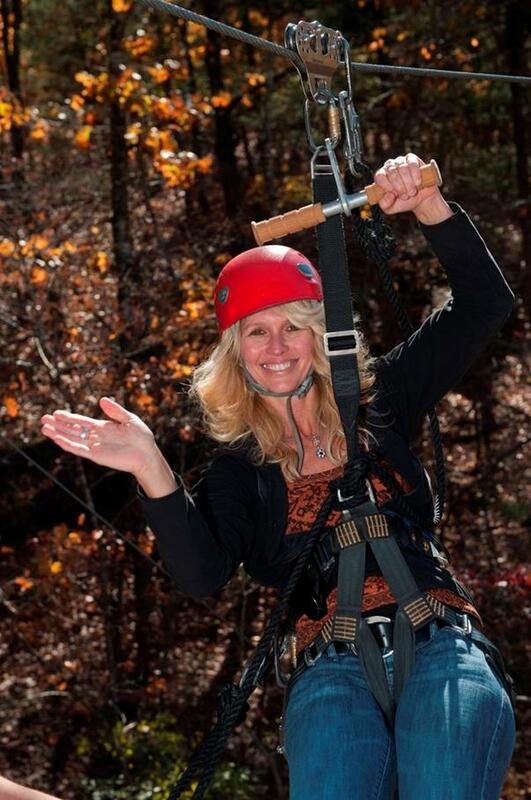 Best zipline trip ever. Be sure to have as much fun as possible. Top quality zipline. Great fun, scenery and staff. 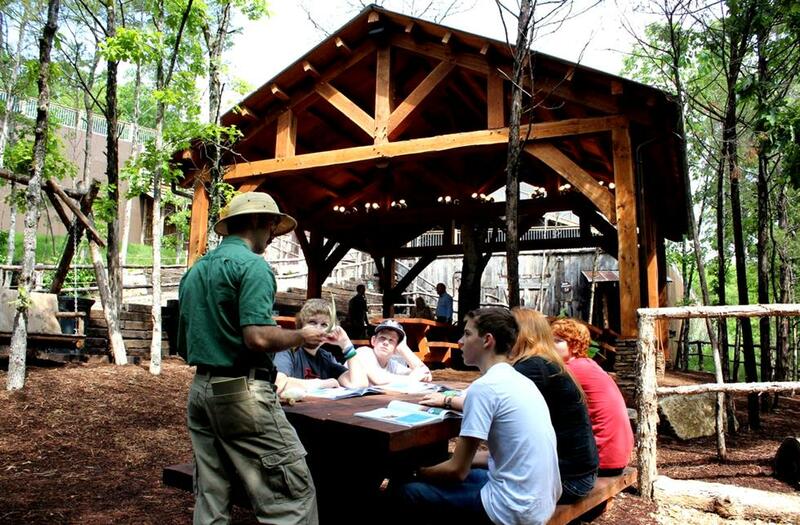 Member: Missouri Outdoor Communicators. 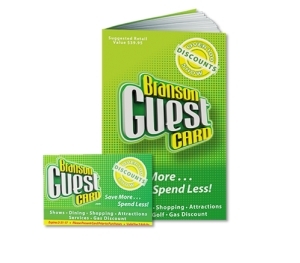 I’ll tell ya one thing, you guys did everything right when you hired *Dillon* What an asset to your businesses he is, glad I got the chance to meet him, had fun!